Holly Swift has just landed the job of her dreams: events co-ordinator at Wickham Hall, a beautiful manor house sitting proudly in the heart in the village where she grew up. The new job puts some much needed space between Holly and her problems at home, and she loves the busy world of Wickham Hall, from family weddings to summer festivals, firework displays to Christmas grottos. But life isn't as easily organised as an event at Wickham Hall (and even those have a few complications...). Can Holly learn to just let go and live in the moment? Wickham Hall is the first novel I have read by Cathy Bramley and it certainly wont be my last! Originally published as a four - part serial ebook, Wickham Hall is a novel about hopes and dreams and finding love.. of course with a few bumps along the way, and is set over four seasons. 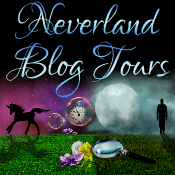 The first part is titled Hidden Treasures and introduces us to Holly Swift. Holly has just got a job at Wickham Hall in the events department and is over the moon. Immediately she is thrown in to the deep end when her boss is off sick on Holly's first day, but she gets stuck straight into her role and we learn what type of character she is - organised, prompt, hard working and dedicated. Over the course of this first section, Holly over comes various obstacles whilst planning the Wickham Hall calendar, finalising details for the summer festival and ensuring a smooth running of the wedding belonging to Zara, Daughter of Lord and Lady Fortescue who own Wickham Hall. Holly quickly becomes an asset to the company and when her boss leaves for good she is faced with a temporary one in the form of Benedict Fortescue. Ben is a bit of a free spirit much to his parents dismay as he loves his art and the last thing he wants to do is settle down and learn the ropes of Wickham Hall ready to take over the reign. 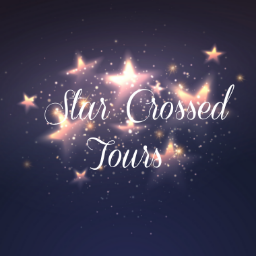 Over the next two parts of the book, Summer Secrets and Sparks Fly, Holly and Ben grow close and as their feelings grow for each other, Holly worries that they are culturally worlds apart. When Ben disappears twice, Holly throws herself into the upcoming events, and it isn't until the last section of the novel, White Christmas, that the pair finally admit their feelings for each other. Although Wickham Hall is a classic RomCom book with a beautiful love story as the main theme, there are a lot of sub story lines too - Holly's mum being a hoarder and secretive about the Father Holly knows nothing about, Esme (Holly's best friend) and her money troubles with her own Mothers clothes shop, and Ben and his parents pushing him for take over to name a few. Often you find that books can get confusing with many sub storylines, however, Cathy Bramely's writing style meant that the book flowed wonderfully and it was effortless to read - I was brought straight into Holly's world within the first few pages and I didn't leave until the very end. 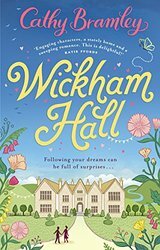 Every event, location and time of year in Wickham Hall was described in great detail with some humorous scenes all linked up with a happy ending - my kind of book! I would like to thank Sarah Harwood from Transworld Books / Penguin Random House for supplying a review copy of Wickham Hall in return for my honest opinion.